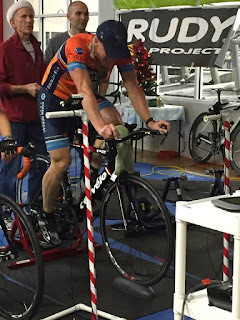 I spent an hour today with a 60 year old cyclist looking to add strength training to his program. We spent time with minimal weights as we ran through squats to a press, lunges to a press and/or curl, side lines with a curl, forward lunges to angles, step ups and down, along with a few key core exercises. When you feel muscles firing that you just don;t use you start to realize how much more efficient you can be in your sport. You'll also lessen your chance of injury, increase strength through a greater range of motion when you train through a great range of motion, and you'll increase your ability to go more aerobic in your efforts. More lean tissue is never bad idea either as body fat % takes a dive. Had planned on spending the weekend hiking in Tennessee but due to a friends illness we canceled. Did just an hour of endurance today where I started at 150 watts and added 10 every 5 minutes until I was at 280 then backed it down to 220 for 15 minutes. Will likely ride easy tomorrow and start back up on Monday with intervals. Did you find that you were in good position for the sprint during the crit season but not able to muster the power needed to cross the line first? Were you unable to bridge during breakaways during road races? Was the pace in any of your races simply too fast for you? Did you find that you didn't have the sustained power to be competitive in time trials? What kept you from reaching the podium? With these and other questions in mind you then ask yourself what type of training did you focus on and how did you progress over the season? What metrics do you use to define progress? Sprint power? Functional Training Power? 20 minute power? Normalized Power over longer rides? Do you have an innate ability to be better at one type of racing? Are you capitalizing on this? How is your weight and do you know your body fat %? If so, how has it changed? Do you occasionally consult with a sports dietician? Do you know how to fuel before, during and after training and racing? Do you have a year-round strength training program? Does it incorporate exercises that improve mobility, stability and strength? Do you know what exercises improve each of these and what areas you need to improve? Do you take enough off days each week? Do you incorporate true recovery rides into your plan? 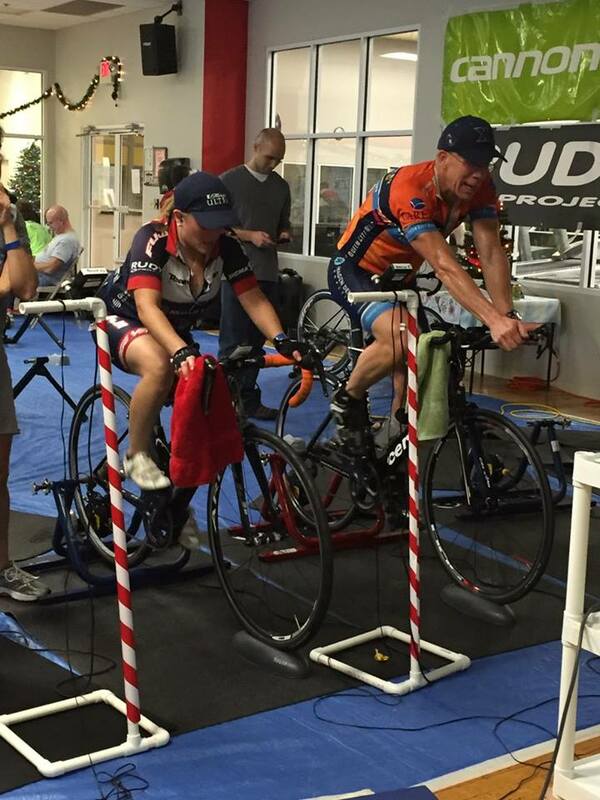 Do your team group rides have training goals? Who sets these and who are they designed to benefit and why? How many hours per week do you have to train and are you using them effectively? Do you have roads conveniently located that you can use for training? Are you able to train effectively inside? Are you mentally prepared for your training and racing? Are you confident that you will do your best in both? 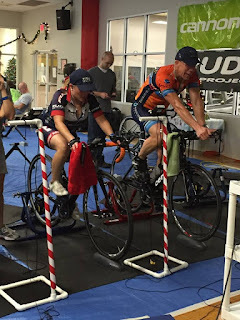 Are you focused when preparing to train and race? Do you have a pre-race list of gear and food/drinks to take with you? Do you have an effective warmup designed for you and your event? What are your specific goals for 2016? Are they realistic? What changes do you need to make to your training, fueling, mental preparation, etc. to meet these goals? The race season will be here soon enough. Training is cumulative over weeks, months and years. A well thought out comprehensive plan is what separates the winners from the rest of the field. Used Heekin Avenue from Eastern to the playground at Ault Park. I allowed the cadence to fall where it may and went for power: 371/73, 372/77, 372/78, 363/78, 366/76, 365/77. When I tried keep cadence at 90 last week power was closer to 350. The lower half of the hill is 10-14% so cadence is in the 70's even in my 30/25 (triple chain ring) so last week I pushed to 100 on the second half. Today, I just kept it in the low 80's once past LeBlond. Kind of warm out, mid 50's, with colder air coming later in the week so I went to the Ault Park crit course and did 10x1, power/cadence: 504/97, 502/100, 499/101, 489/99, 479/90, 493/97, 485/98, 478/103, 483/104 and 500/103. Felt good about the cadence and power not too bad consider yesterdays time trial. Will rest tomorrow. Rode a 14:40, just 6 seconds off my PR. Held 373 watts, close to 100 rpm avg and 169 avg HR or 93% of max. Hit 180 over the last minute, 99% of max. Can't say that feels good at all. Was fortunate to have the best time in my age bracket and overall also. Same competition as last month so always thankful to finish a few seconds ahead of the younger riders. Even though its 60 degrees on a Saturday in December, I'm sticking to the plan of a recovery day after yesterdays steady state efforts and 50 miles. Will use the time to get some other things done around the house and garden. These are the last efforts before the indoor tt on Sunday. Felt very good on these: 357, 361 and 369. I'm going to ride my Cervelo P2 tt bike at the indoor tt on Sunday. makes more sense to use that than a road bike. Interesting article sent to me by a client. 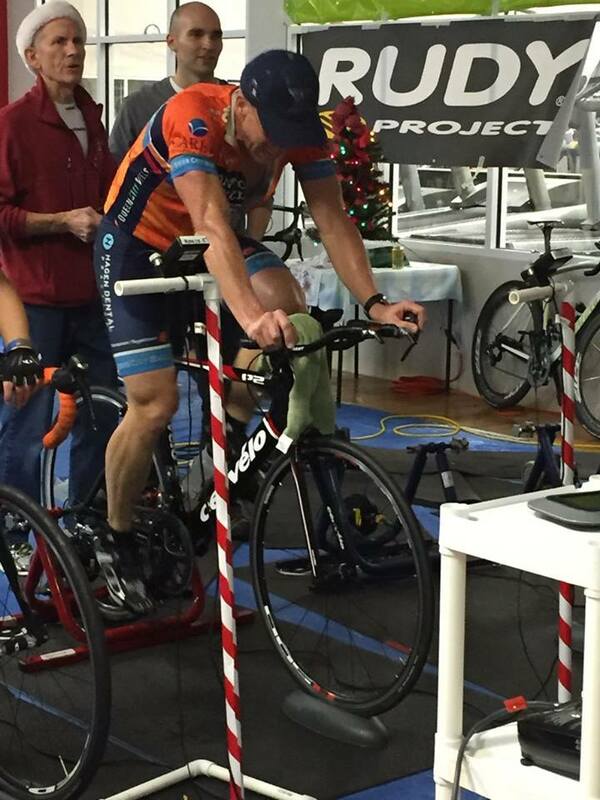 I've always considered one legged drills to be a waste of time and thinking of pedaling in circles the same. I think of the pedal stroke as a down motion. I do relax a little at the bottom. Its not a dramatic pull up at all, more of just a matter of not mashing my foot into the pedal. Feels smoother to me and puts less wear and tear on the bottom of my foot. 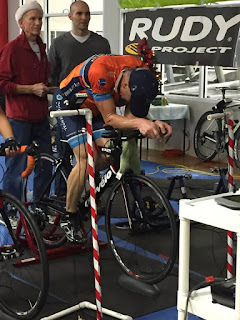 Pretty cold weekend so I did some indoor rides with some tempo (20 minutes at 280). Certainly less on that power than I did outside in TN last week (310+) but HR was about the same so I went with it. With temps at 30 on Saturday morning, I decided to ride inside with an hour session in the morning and another in the afternoon. Did the same today, one in the morning and another watching the first half of the Bengals-Browns game. I just don't get much benefit from riding when its below 40. Even with my SIDI cycling boots and warm gloves, I'm still too cold. Thirty degrees at 18-20 mph with no additional wind gives a temperature of 17-19 degrees. My basement is a pleasant 68-70. I'd rather sweat than freeze. I get outside for a daily hike in the local park and yesterday I did some mulching in my garden for a couple of hours. Looking ahead, we're still going with shorter efforts with lots of intensity. I see descending intervals, some short steady state, etc in the next 10 days. Its a long way to the first events in the spring so some pacing in the schedule is important. We certainly want to keep up the power but not over do it. Did these inside as it was just a little too cold to head outside (low 30's). Held 320 over and 290-300 under for 2 minutes over/2 under /2 over /2 under, three sets. Not my best effort as fighting a slight cold but ok for December.